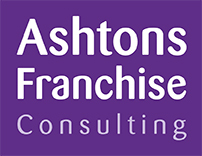 We offer a flexible, good value and relationship based service and have found that clients appreciate our holistic approach; with AFC's work being as valuable to established franchisors seeking to refocus as it is to businesses newly considering franchise expansion. We deliver tailored consultancy solutions with support from legal advisers and media specialists within the franchise industry, signposting clients to expertise in all aspects of franchising. We will work with you in any way you wish, focusing on your best interests. As long-standing associates of the British Franchise Association, we have a reputation for helping our clients in a different way from many of our competitors. We focus on working at your pace, to your budget to deliver what you want – rather than offering a \"one size fits all \" approach.